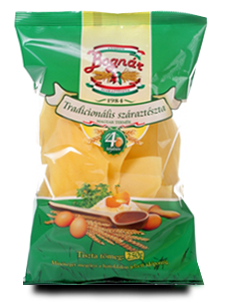 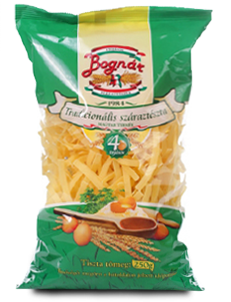 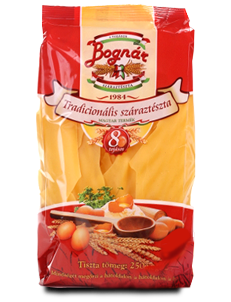 Our Company began the production of traditional Hungarian dried pasta in form of an individual enterprise in 1984. 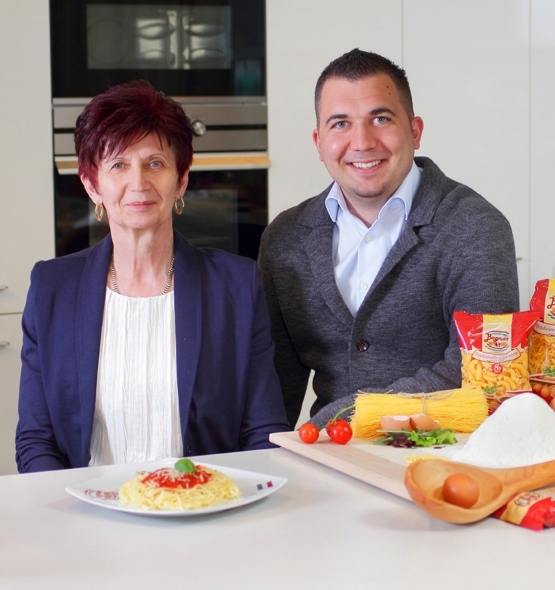 We introduced the HACCP quality insurance method in view of assuring the quality requirements in 2000, hereinafter we built up a private limited company in line with the access to the European Union in 2001. 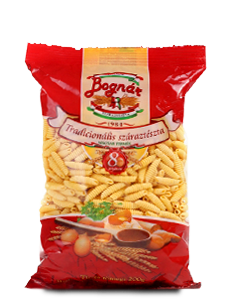 During these years the production was performed in the downtown of Dabas, while in 2003 we started the construction work of a bigger and more modern factory. 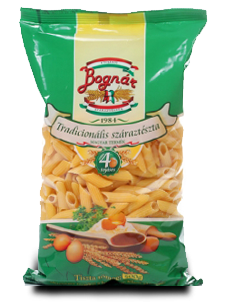 As of fall 2005 our enterprise has been operating on our new location at 12 Beton Street, Dabas, 45 kilometers from Budapest. 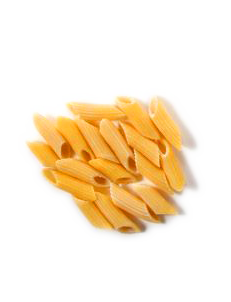 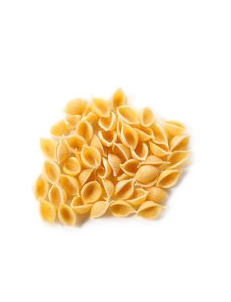 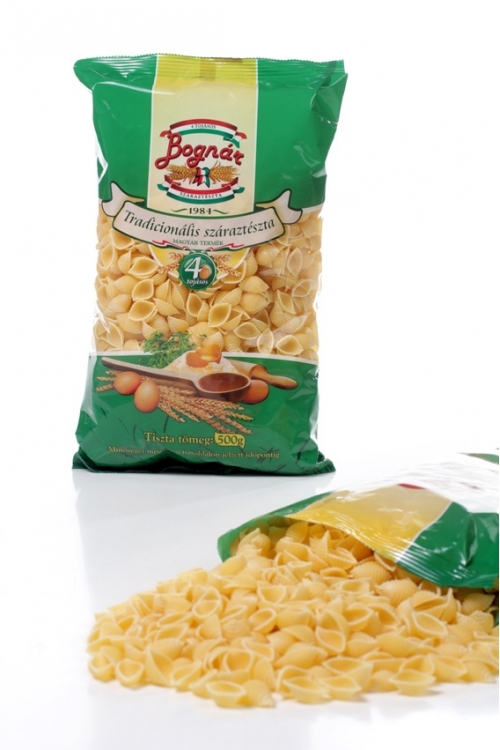 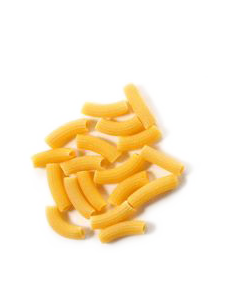 We do produce 30 different formats of dried pasta with 8 and 4 eggs. 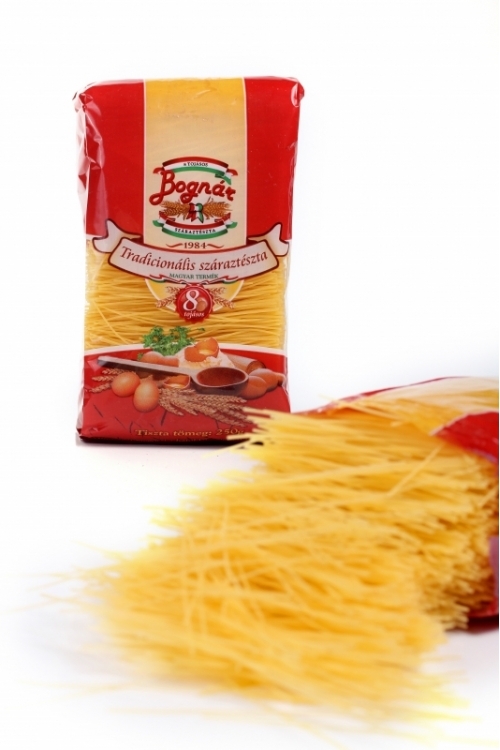 The available packaging units are 250 gram, 500 gram and 10 kilogram. 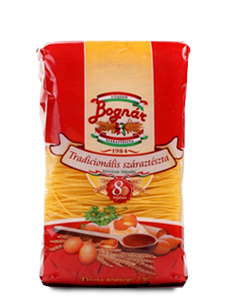 The production is proceeded by means of a modern Italian pasta machine of La Parmigiana; exclusively by using fresh hens’ eggs and Hungarian wheat flour. 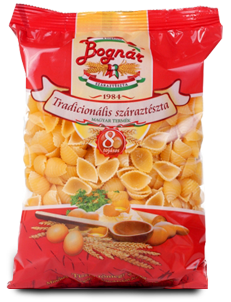 We are present on the Budapest Wholesale Market with all of our pasta formats, where we possess a covered market stand. 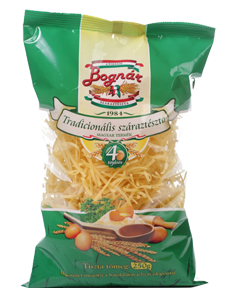 Sales network: our products are available at several parts of Hungary and Europe. 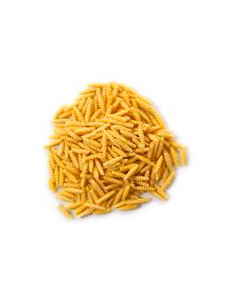 Business policy: our intention is to grant premium-quality products to our customers by means of using top-quality raw materials permanently.